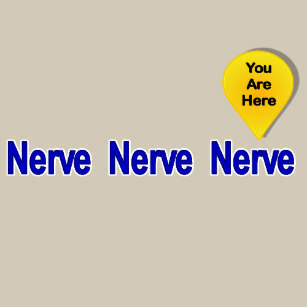 You must know what I mean when I say "On my last nerve." I heard a great story from a sweet friend about her significant other. She loves him, make no mistake, but we all understand her story of stomping on that last nerve. It seems he likes to take little bitty bites when eating cookies. Reminding her of a squirrel nibbling on his nuts, she told me, "I just want to tell him--JUST TAKE A BIG BITE!" I have habits which could drive a Saint up the wall. Sniffing during allergy season comes to mind. I am not aware I am doing it, but with a constantly runny nose, I tend to sniff every minute or so. It even drives ME NUTS when I become aware! Pre-old age, I chomped on ice endlessly. Thanks to having a crown in the line up now, I no longer do this. Picture across the room---CHOMP, CHOMP, CHOMP-CRACK, CRACK, CRACK during your favorite television show. I am not sure why I was not murdered at some point. To date, I have not completely lost my cool like this poor woman (her screeching voice gets on my last nerve), but I spend plenty of time talking to the other drivers on the road and occasionally throwing up my hands in disgust and dismay. For what reason, I am not certain--since they drive away and continue on their bad driving way. But lack of ability to drive safely and courteously gets on my last nerve. And then we move a little closer to home to our family and our friends. To keep my loved ones from clobbering me and my friendships in tact, I will not discuss the things which rub me the wrong way, but I am certain you get my drift. I must say, I am fully aware the road runs both ways. So if I am unwilling or unable to confront those who can send me spinning, what is to be done. Continue to simmer and sputter under my breath or slam into them and risk alienating those I care for? It has finally dawned on me---IT"S ME THAT NEEDS TO CHANGE! My attitude is the only thing I really have any control over and it needs changing! Overlook those little things--sometimes even the big ones and learn to accept people for who they are. Turn a deaf ear, look the other way and even turn the other cheek---but I need to change ME. As the great song so wells says, "Move on-move on down the road!" Something tells me when I begin to work on me---my last nerve will grow less sensitive and life will be much easier. It's ME not them! Lulu, my friend ... it is not often I disagree with you. But sadly, this time I must. You have outlined your failings. I accept that. We all have them, (I suppose). But then you end up by suggesting "IT'S ME THAT NEEDS TO CHANGE!" What nonsense. In my case that is. What nonsense to suggest that I should change. How can you possibly change from perfection? If I were to changer then it would mean that I am a lesser perfect being than I already am. A downgrade in fact. Nonsense. If people cannot tolerate anything about me then it is they who need to change. It is they who should be more understanding, more tolerant, more caring, more loving. Isn't that what Our Lord commanded? He did not suggest that people should coerce me to change, did He? So what if I dunk biscuits in my tea or coffee cup? So what if I spread peanut butter on the toast and then carefully place a number of raisins all over carefully standing in line as soldiers on a square? It takes ages, I know. But it is my toast, and I eat it as I like. So what if I don't like inane conversation when the TV is on? The purpose of TV is to watch and listen to it; not listen to everyone in the room making stupid comments about what the newsreader is wearing, or whether this is a new weather forecast man. I don't care. I want to watch TV as it is meant to be watched. The makers of the TV did not insert a facility for the family to make inane comments whilst it is on. So silence please when I am watching TV and making peanut butter sandwiches with biscuits and tea ... or coffee. The world would be a far better place if every one were to change. Except me. I'll keep the same clothes on I have had for years. Thank you very much. Why mess with perfection, I quite agree. I wouldn’t ask your wife’s opinion if I were you though. Lulu, you are so right. Others can certainly stomp on our last nerve, but it's up to us to change our own reaction/sensitivity toward it. After all, "he who is without sin, throw the first stone." No one did, did they? Great thoughts and funny videos! I loved the twins!! Wonder what they were telling each other?